Western Skyways Turbine inc is now doing business as Rocky Mountain Turbine Services to better help our customers differentiate between Western Skyways Inc (which rebuilds continental and lycoming piston engines) and our turbine engine division specializing in all models of Pratt & Whitney PT6A and JT15D engines. 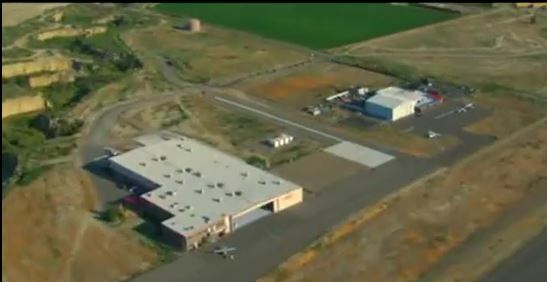 In 2003, Western Skyways opened its turbine engine shop, bringing in Tom Barry from Georgia. Tom has a 22~year history of working on turbine engines. He started with Van Dusen’s turbine engine production line in Worchester, Maine. He went on to become a Pratt & Whitney production technician for 11 years. After that, he and a partner opened a turbine engine shop in Atlanta that was later bought out by Atlantic Turbines. He and a different partner opened ASL Turbines in Rome, Georgia. After a couple of years, Western Skyways stepped in and bought out ASL, moved the shop to Montrose and in the process hired Tom to run the turbine engine shop. At Western Skyways’ turbine engine shop, there is a different philosophy about engine repairs, “one engine / one man”. When a customer’s engine comes to the shop it is assigned an A&P authorized mechanic, that stays with that engine from the beginning to the end of its service work. The engine has its own engine cart. where all of the parts are kept together throughout the process. Almost daily, the customer is contacted by his assigned mechanic via email or a phone call, updating the progress of the engine. The customer is consulted before any decisions are made about whether to replace or exchange with a new or serviceable part.